I'm working on a project to transmit and receive data by radio. For the transmission, I'm using a Raspberry Pi 3 and the NTX2B transmitter for the transmission. 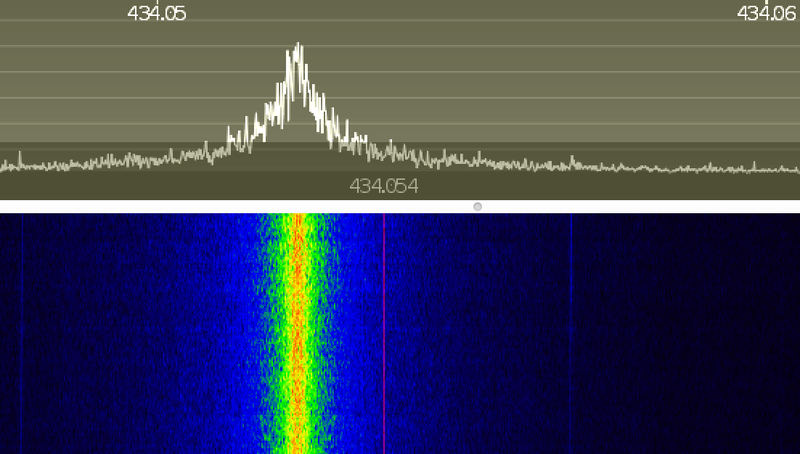 For the receiving end, I am using NooElec Mini 2 SDR as the receiver and the CubicSDR program to see a waterfall diagram of the received signal. I've used instructions from Yannick, Linking an Arduino to a Radiometrix NTX2B Transmitter and Dave Akerman to get as far as I have. The image below shows the circuit diagram (from Dave Akerman). Initially, rather than connecting the transmitter input to the TX port on the pi, I connected it to one of the GPIO ports, number 18. I instructed port 18 to switch on and off every five seconds, and was able to see the frequency shift on the waterfall diagram on my laptop. :) Success! Your frequency deviation in the plot is somewhere in the range of 1 or 2 kHz – so, you really can't modulate it with 115.200 kHz of symbol rate! Try 9600 bd on the interface instead. It looks like the TXD input directly modulates the output – and that means that the data clock is identical to the on-air data clock. Personally, to me, this sounds like you shouldn't be using an UART to talk to the device. Instead, use the SPI interface, in hopes you can make constant-rate, seemless, multi-byte transmissions. Package your data in packets (for example: take 8 byte of data at once). Each time before you start sending, send a preamble byte (e.g. 10101010b==0xAA==170) so that your receiver can find your transmission, and achieve clock synchronization (yep! that's necessary!). Not the answer you're looking for? Browse other questions tagged software-defined-radio rtl-sdr or ask your own question. 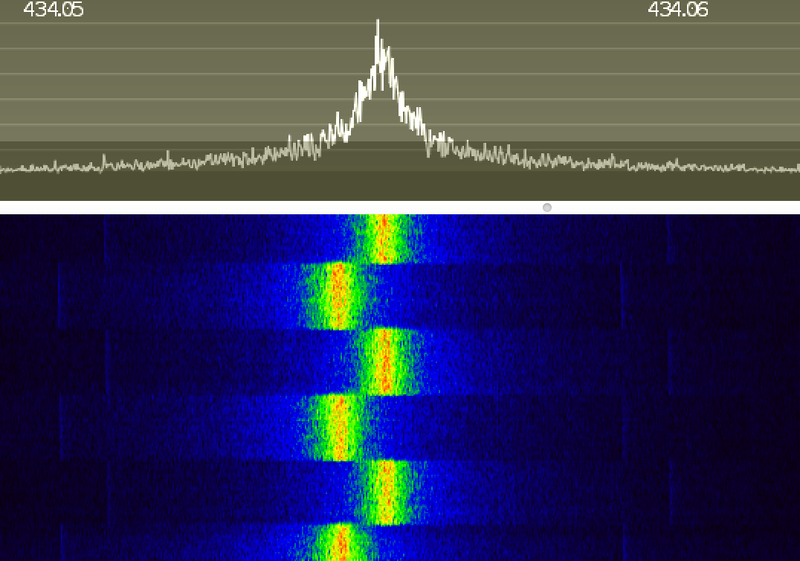 How to play spectrum recordings made with rtl_sdr in gqrx? 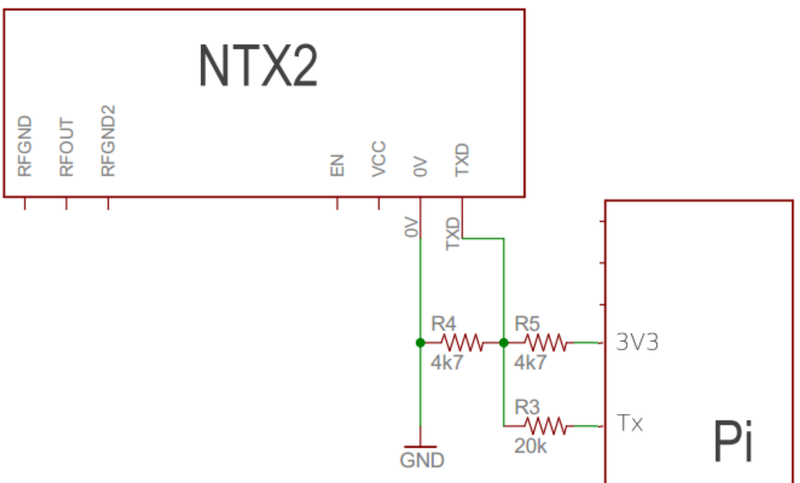 How does rpitx generate arbitrary SSB data with a clock peripheral? How do I go about identifying an unknown digital signal? How to best connect an FM transmitting GPIO pin to an antenna? RX antenna and RTL SDR with upconverter ..How to hear something?